Everyone knows during Spring Training is when hopes are the highest. You hope that one major prospect is ready to take the next step and make themselves part of the big league roster. You hope that veteran that seemed washed up has one more year of productivity in him. You hope this is the year Alyssa Milano finally notices you and doesn’t think you are “that creepy guy who gives me compliments”. 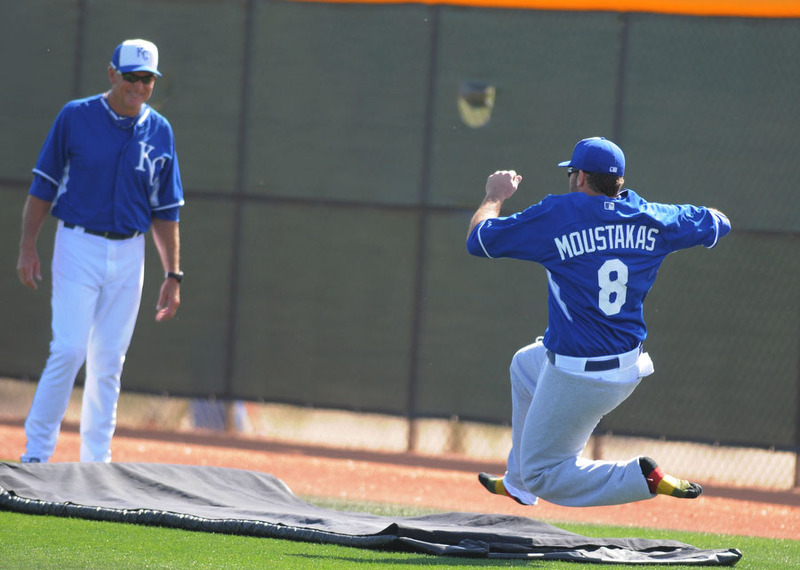 Restraining orders aside, this spring is the time where most Kansas City Royals fans(and employees) hope that Mike Moustakas is for real and ready to be the player he looked to be in the first half of the 2012 season. This spring Moose has looked the part…but is he for real? It’s hard to judge simply by Spring Training stats, no matter how good they are. How good you say? Take a look for yourself. The most interesting is seeing how close this year’s Spring Training stats are to last year’s. Most don’t remember but Moose had a good spring last year and started off the regular season hitting well before his swing headed south. But there are a few things that are different with Moustakas this year from last. Manager Ned Yost has talked about how last spring Moose was hacking more and now has more of a game plan when he steps up to the dish. But there have been some very noticeable changes from last year. 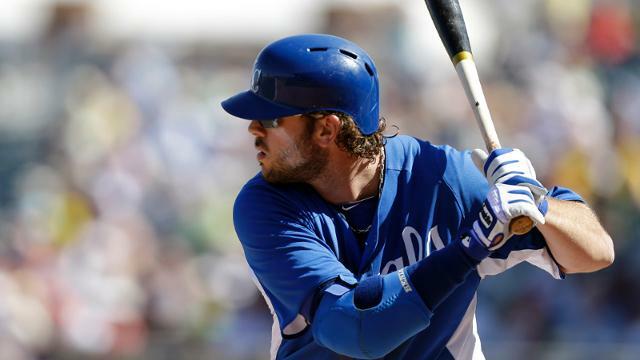 Moustakas’ struggles against lefties is why the team acquired Danny Valencia in the offseason. It must have been the kick in the pants he needed, as he has looked more than comfortable against all lefties, even the occasional LOOGY. Moose being able to hit lefthanded pitchers helps go a long way toward him being more productive in 2014. @SeanThornton5 I watched him work on a shorter path to the ball when I was there last week. It was enlightening to see. 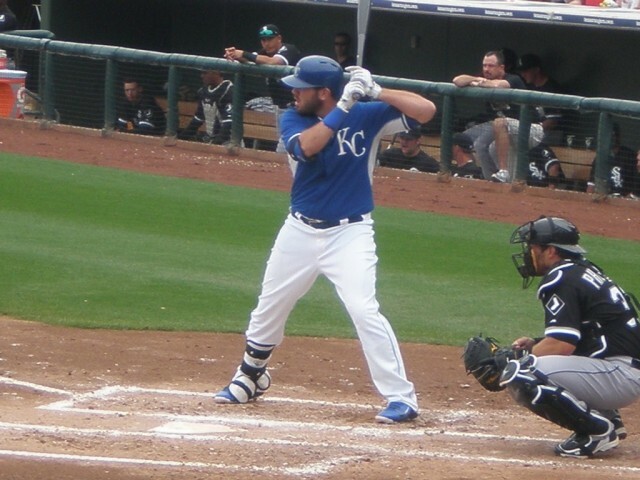 Lesky spent some time in Surprise, Arizona this spring, so he got to see Moustakas up close and personal. To me, the biggest thing I’ve seen that gives me hope that this isn’t just a spring thing is the swing. It’s just a matter at this point of being consistent with his swing and not falling back into old habits. There are a lot of factors that will determine whether or not the Royals have a successful 2014 or not, and the production(or lack of) from Mike Moustakas is a major one. So far this spring it is obvious that Moustakas put in a lot of time this winter to work on his swing, as evident by his time spent in the Venezuelan Winter League with hitting coach Pedro Grifol. If Moose can be consistent and continue to hit even close to how he has this spring, than it will go a long way to cementing his spot on the roster for not only this year but for the future. He might never be a .300 hitter, but a solid .270 with quality run production should make him a middle of the order guy for Kansas City. 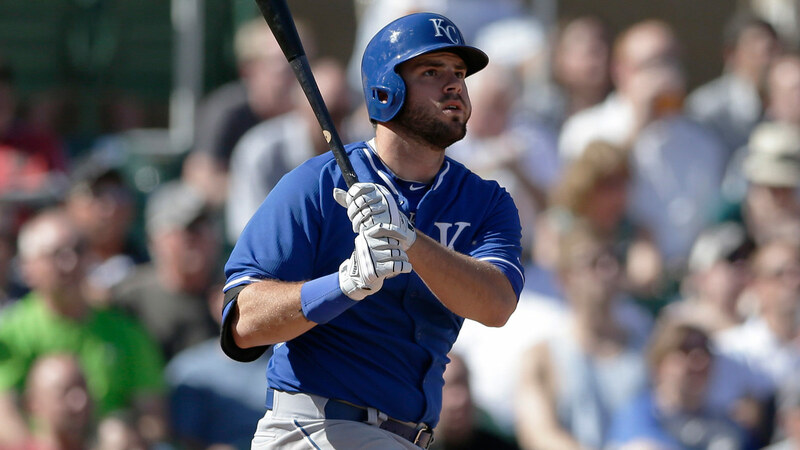 Soon enough, we will know if the “New” Mike Moustakas is real or just a figment of the thin Arizona air.